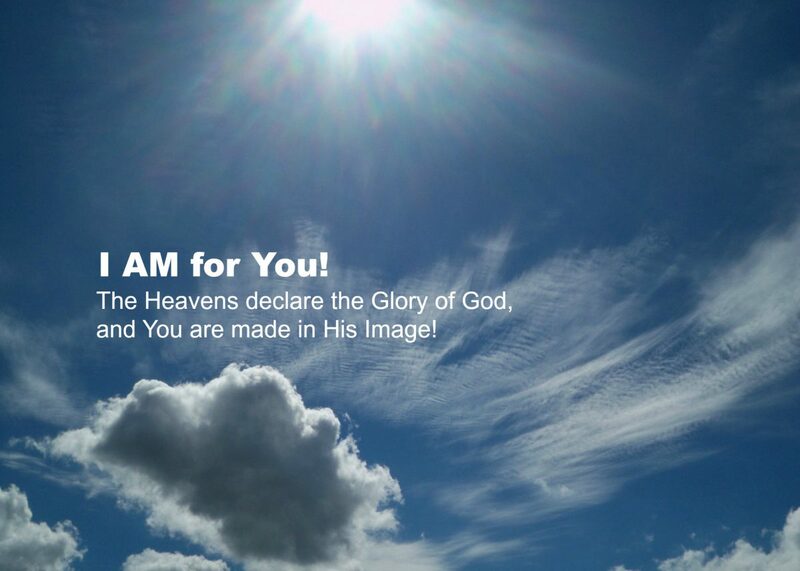 Heaven for the Comfort, Hell for the Company – I AM for You! This is a phrase that I heard as a kid. It means: I want to go to heaven to physically feel good and escape Hell’s torment and pain; but I want to socialize with people in Hell because they are “real” and not hypocritically thinking they are better than me. There is a lot of truth to this phrase. Some people in church are hypocrites. Talking Jesus but without accepting others as they are, not giving mercy, love, forgiveness, acceptance and grace. The problem is these same people usually haven’t experienced the unconditional love that Jesus offers. They think what makes them a “christian” is going to church, obeying rules (that is, the ones they want to obey and ignoring the others), and being accepted by other “christians”. They have missed everything. And that “everything” is a personal relationship with Jesus. When a person truly knows Jesus they don’t think they are better than you. In fact, they believe they are your servant and put you first. Not just if you are another Christian but regardless of who you are, what you believe or what you’ve done. That’s because that’s what Jesus did… and still does. Jesus counted Himself among sinners and is not ashamed to call us His brothers and sisters. People don’t become true Christians by following rules and pretending they are perfect. Rather they become true Christians by surrendering themselves to the Jesus they have learned to trust and love because they have seen Him love them first hand through one of His followers. If you can’t find a true Christian perhaps you want to consider investigating becoming a true Christian yourself? Pray to God and tell Him you want to know Him. Read the Bible starting in John (you can use the index to find it) and learn about Jesus’ character and love for you and others. Pray that God would lead you to one of His true followers, that they might help you know God better. You can explore if Jesus is someone you want to spend your life and eternity with. And being with Jesus is what makes heaven, heaven.